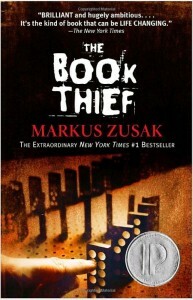 Plot: The Book Thief is the story of Liesel Meminger, a foster girl living outside of Munich. Liesel scratches out a meager existence for herself by stealing when she encounters something she can’t resist–books. With the help of her accordion-playing foster father, she learns to read and shares her stolen books with her neighbors during bombing raids as well as with the Jewish man hidden in her basement before he is marched to Dachau. Why we like it: This novel is impossible to put down once you start reading. The characters stay with you for days, weeks, and months after you read it. It is a story is about words, the power we give them and the magic they carry in their own right. A testimonial for the indestructible human spirit, it’s one of those books with the ability to linger in your mind long after the final page. This is a book with a unique premise that keeps the reader’s attention about a time in history we can never forget. It’s heartwarming and heartbreaking.